Mouseketeer moves instantly the mouse cursor to the center or any side of the screen. I know there are system options for the cursor to leave trails or for pressing the ctrl key to have the cursor transmit visual signals, but I find all of these annoying. Besides, sometimes I need the cursor instantly to the center (usually) or to some of the sides, where I work with a program. I’d like in these cases not to grab and move the mouse from one to the other side of this large monitor, even if I can see where exactly the cursor happens to be. NumPad Transformer is a light and free but powerful program; it will let you arm the NumPad of your keyboard with the ability to trigger frequently used functions, including mouse moves. 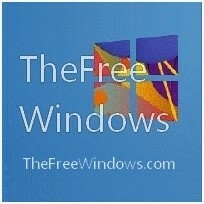 Most probably you won’t be able to imagine your PC without this little freeware. It is that useful, provided, of course, that your keyboard contains a NumPad and you seldom need one to enter numbers all day. NumPad Transformer is absolutely safe and clean. Window Manipulator will let you drag windows grabbing them anywhere, resize, center and restore them. This is a utility I can’t live without! Whether you work on a laptop or on a large screen you know how annoying it can be sometimes to target the title bar of a window to drag and drop it, or aim at a side or corner to resize it. Mouse Count is a free desktop gadget that will let you count the left and right clicks of your mouse, as well as the distances that it travels (in meters). The gadget is customizable, you can change colors, the main image, etc. X-Mouse Button allows you to define application specific profiles, to re-configure mouse behavior for individual applications. For each profile you can set up to 5 configurations and assign them to shortcut keys or mouse buttons. Profiles can be automatically activated as the mouse moves over a defined window or application. The program allows you to change the behavior of mouse buttons and scroll wheel. StrokeIt can recognize more than 80 mouse gestures and can be easily trained to recognize more. For each gesture recognized, StrokeIt can execute a user-defined set of commands within the active application. Auto Clicker Typer will let you record all the clicking and typing that you do on your computer and then replay it for you. Once a script is loaded or recorded you have an option to specify custom delay between each action. Mouse Recorder Pro records Keyboard and Mouse input, to let you repeat an operation easily. You can edit the script to fine tune and achieve even better results. Just Gestures will let you create mouse gestures to perform certain actions. Just Gestures can associate several actions to the same gesture. This way you don’t need to remember plenty of gestures for similar actions. When a particular gesture is performed the context menu of all actions is shown and you can select with one more click the action you want to execute. You may categorize gestures to multiple groups that are active only when a specific application is selected. Therefore it is possible to use the same gestures for different actions in various programs. Mouse Lock dims your desktop while blocking your mouse cursor to the centre of the screen! The password window acts as a mouse trap, yet the keyboard will still work. Since any application that opens through the keyboard goes to the background, it is practically useless. Sensitive information may still be visible, if you decide not to make the screen completely black. kid-key-lock helps you to prevent toddlers from accidentally pressing unwanted buttons on your keyboard and mouse, but you can also use it to disable your keyboard and mouse in order to clean them. Nomousy will let you hide and/or restrict the cursor. It works with command line options, such as /hide, /freeze, etc. To restore the mouse cursor just run the executable again – with or without options. VolumeTouch will let you hold down Ctrl+Shift and use the Up/Down arrow keys or your Mouse Wheel to adjust volume. MouseMark will let you press Ctrl+M or a shortcut you define, to locate the mouse. KatMouse is useful mainly if you are still on older Windows versions. It will enhance the functionality of your mouse’s scroll wheel with ‘universal’ scrolling. Moving the mouse wheel will scroll whatever window directly beneath the mouse cursor (not the one with the keyboard focus, which is default on Windows). * Tip: Learn how you can recover a frozen mouse without restarting your computer.